L6 LINK digital networking takes the complexities out of configuring a multi-speaker rig. In an L6 LINK network, StageSource L3s automatically detects other StageSource speakers and automatically configures its settings accordingly; crossovers and polarity are set, stereo signals are summed, through signals are passed, and more. When connected via L6 LINK, StageSource speakers and the StageScape™ M20d digital mixer are capable of unparalleled power and flexibility. Together they redefine the typical mixer-speaker paradigm and create an intelligent live sound eco-system rather than merely a linear combination of components. 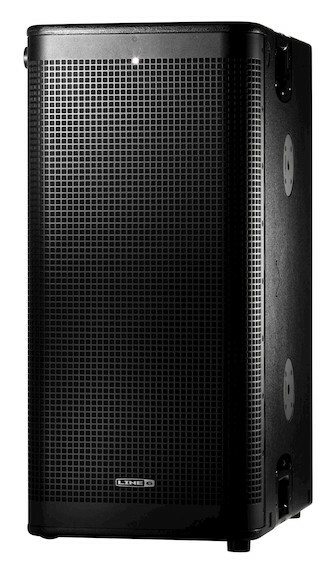 Easily capable of delivering powerful low-end to large audiences, StageSource L3s features a dual 12-inch bass reflex configuration with 1,200 watts of power for maximum headroom and superb low-end definition.